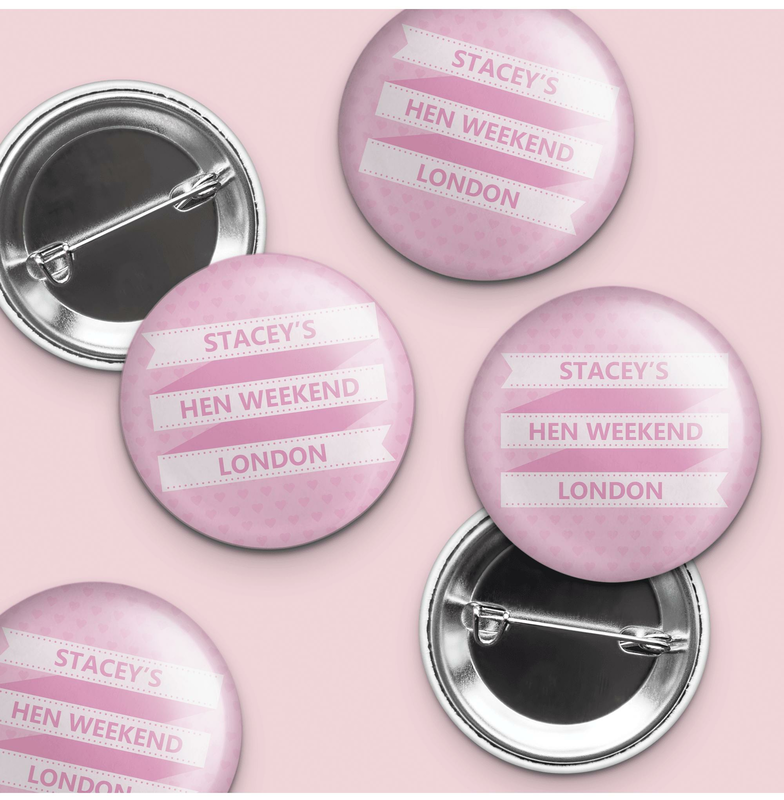 Show who you represent on your crazy hen night with these coordinating personalised hen party badges! Everybody you meet will know that you all belong together and you are there to enjoy your night! Have your personalised hen party information printed on these professional looking badges which can be worn on your sashes or on your hen night outfits. These stunning symbols of who you are with, easily attach with a metal safety pin and are of a high quality so they can be kept as a keep sake by each hen. Which will help them remember your wild crazy night out together!